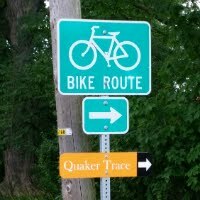 Why do we need the Quaker Trace Trail? Safety: Though narrow and curvy, County Road 8 has been used extensively by cyclists and pedestrians for decades. Their presence on the road is dangerous to themselves and to the motorists who must swerve around them. There is currently no safe way for residents along CR8 or in connected neighborhoods to walk or cycle to Bristol or Middlebury. 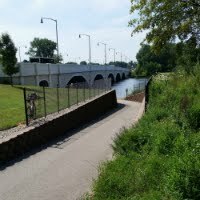 The QTT will enable people of all ages to walk, run, or bike along CR8. Quality of Place and Economic Development: The importance of multi-use trails in general, and the QTT in particular, has been highlighted by Elkhart County’s Vibrant Communities Initiative , which includes the action item “Construct or designate a multi-trail loop that connects the cities of Elkhart and Goshen and the towns of Middlebury and Bristol.” Multi-use trails have been shown to make communities more attractive to businesses and their employees, to professionals, to families, and to retirees. 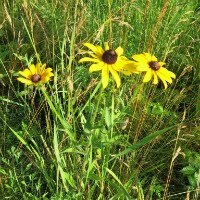 They have also proven to increase property values. 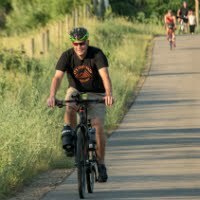 The Pumpkinvine Trail draws visitors from a wide area, and has been a great boon to Shipshewana, Middlebury, and Goshen. The QTT will bring similar benefits to Bristol and Elkhart. Connectivity: Connecting people and communities through shared use pathways is increasingly important as more and more people seek alternatives to automobiles. Connecting existing trails is a major push throughout the country. The QTT will complete a 40-mile loop of trails from Elkhart to Goshen (Mapleheart Trail), Goshen to Middlebury (Pumpkinvine Trail), and Middlebury to Bristol and Elkhart (QTT). Accessibility: As a multi-use path, the QTT can be used by people of all ages and abilities, from children to senior citizens, walkers to runners, cyclists to wheelchairs and walkers. It is available for people of all levels of income and education, and can help build community as people meet and interact. Health: The strong connection between exercise and physical, mental, and emotional health at all ages is well-established and becoming well-known. 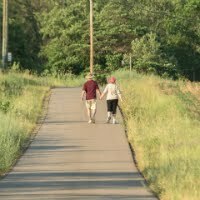 It is common sense and proven fact that safe, attractive multi-use paths lead more people to engage in regular exercise and healthy lifestyles. 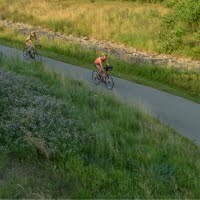 Culture: Elkhart County is joining the growing number of communities intentionally moving from an automobile-centric culture to an active-lifestyle culture, where people seek opportunities to engage in walking, cycling, and enjoying the beauty of nature.